Suzette Ellsworth moved to Innisfil from Toronto in 1960 and opened up Suzette's Salon located in Webster Plaza. 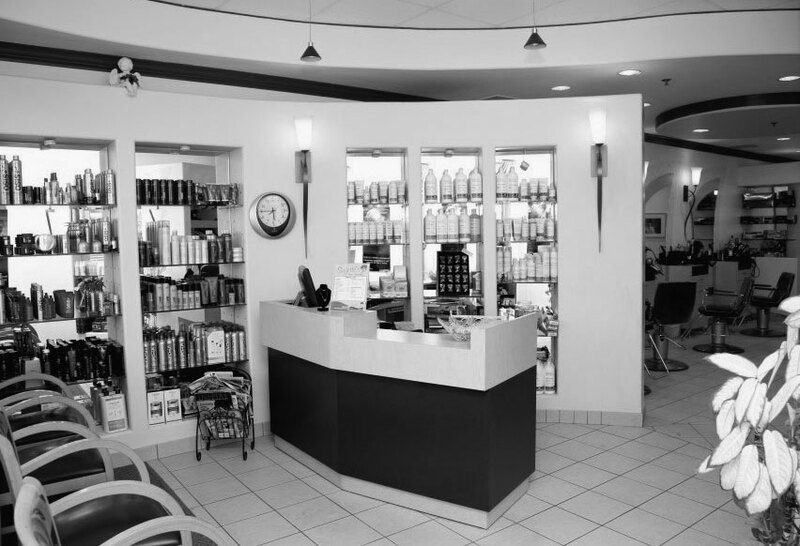 The salon was then moved into crossroads plaza in 2004 designed by Suzette, where it is currently located. In 2016, Suzette's niece Jody Graham took over the reigns from Suzette and is committed to keeping the salon a warm, friendly and inviting space helping you feel and look your best. Enjoy a warm coffee or tea with us while you get your hair done. Our full service salon features an award-winning and dedicated team with an upbeat and creative approach to cutting, styling, and colouring hair. Trust our experienced stylists to help you bring out the best in you and your hair. We are a team of advanced hair designers with a serious commitment to defining style. We offer personalized consultations, in-depth expertise on innovation in the industry and extensive knowledge of the latest trends. We work side-by-side, exchanging ideas, knowledge, opinions and inspiration. Together we build strong bonds with our valued customers to ensure that their salon experience is a memorable one. Suzettes salon gladly gives back to the community by donating both time and talent to organizations such as: Emmanuel Baptist church annual Christmas play, breast cancer awareness the month of October, Cuts for Parkinson's and many local charities within the community of Innisfil. Suzettes’s salon also sponsors local soccer teams, donating to the food bank and helps fight child hood hunger through ACN project feeding kids. Our stylists are committed to innovation and staying on the cutting edge. The members of our collective are encouraged to attend hair shows, workshops, and seminars to ensure that they are up-to-date with the latest trends and fashion-forward thinking.